Professor Bo Bernhard Nielsen is Professor of Business Strategy at the International Business Discipline at The University of Sydney Business School. 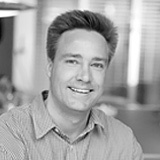 Professor Nielsen holds a PhD in international business from Copenhagen Business School (CBS), Denmark and was previous professor of strategic management at Copenhagen Business School. Earlier in his career, he was Assistant Professor of International Business at Western Washington University, US and visiting scholar at University of Washington, US. His research is at the intersection of strategy and international business with a specific focus on strategic collaboration, firm internationalization and top management teams. His work appears in Strategic Management Journal, Journal of Management Studies, Journal of International Business Studies, Journal of World Business, Journal of Business Research, Long Range Planning, Journal of International Management, International Business Review, among others. Professor Nielsen currently serves as Consulting Editor, JIBS and is on the Editorial Board of Journal of Management, Journal of World Business, Cross Cultural & Strategic Management, and Journal of Trust Research.